With World Oil Antifreeze, you can choose from a range of products for all makes and models of foreign and domestic vehicles with the proven performance and premium value built in. These sustainably produced products help protect the service life of your customers′ cooling systems, while preserving your profitability, and protecting our natural resources. 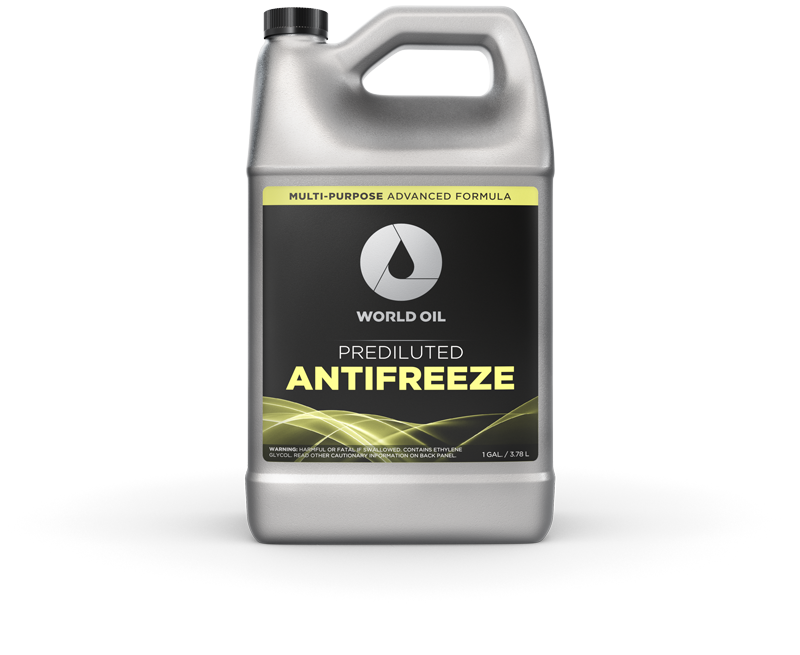 Ideal for the heavy-duty cooling systems in your fleet. © MMXVI World Oil Corp. WORLD OIL and the WORLD OIL globe and symbol are trademarks of World Oil Corp. The WORLD OIL slogans and the other WORLD OIL product/service names and logos are also trademarks of World Oil Corp. All rights reserved. Terms and Conditions.